Fred Bahnson, director of the Food, Health, and Ecological Well-Being Program, was awarded a 2018-19 writing grant from Kalliopeia Foundation. 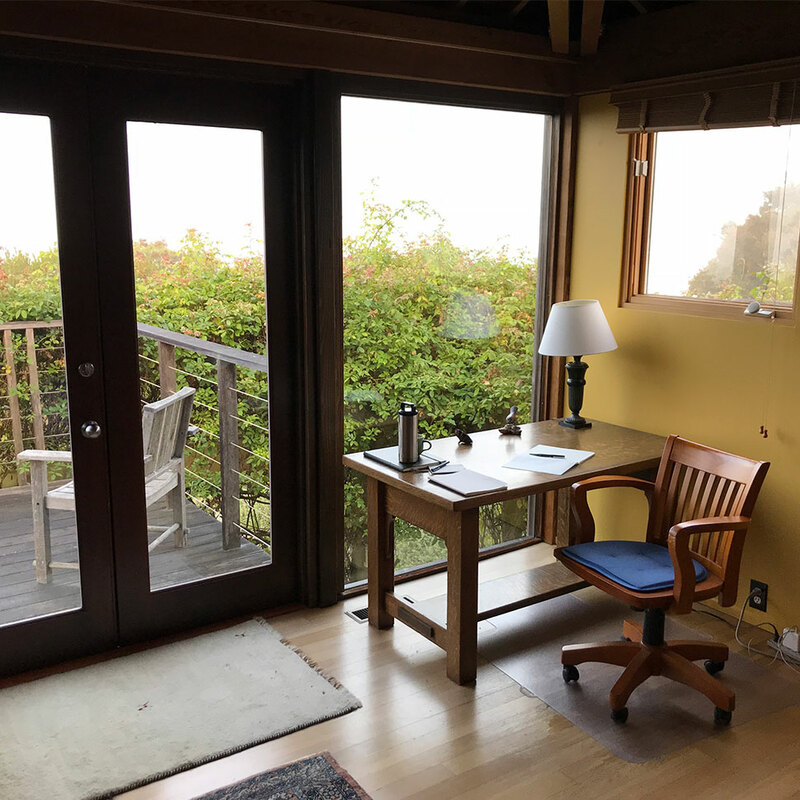 The grant of $50,000 supported a Fall 2018 academic leave for Bahnson as well as ongoing travel funds for a new book project called Behold: Contemplative Ecology for the Anthropocene. Bahnson’s research looks at the unprecedented challenges that communities across the globe are facing in the Anthropocene, the era in which humans are profoundly reshaping the basic life support systems of the planet. He asks what the Christian contemplative tradition offers in response to these challenges. The failure to develop concrete responses to the challenges of climate change, he argues, is a failure of the Christian imagination. The book project is a collection of stories. It is Bahnson’s hope that these stories demonstrate the ecological imagination at work. Part of the book involves a sustained reflection on ecological themes in the life and writings of Thomas Merton. That essay was recently published, along with a short film, in Emergence magazine. 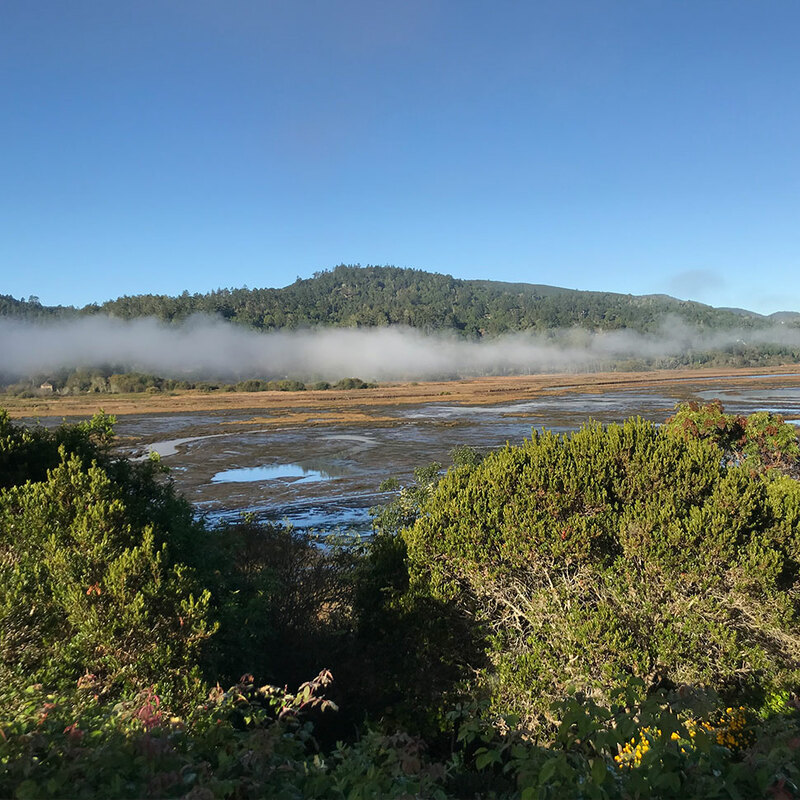 Bahnson’s research began in Fall 2018 when we was awarded a Terry Tempest Williams Fellowship in Land and Justice at the Mesa Refuge in Point Reyes, California, and his research travel continues this Spring. 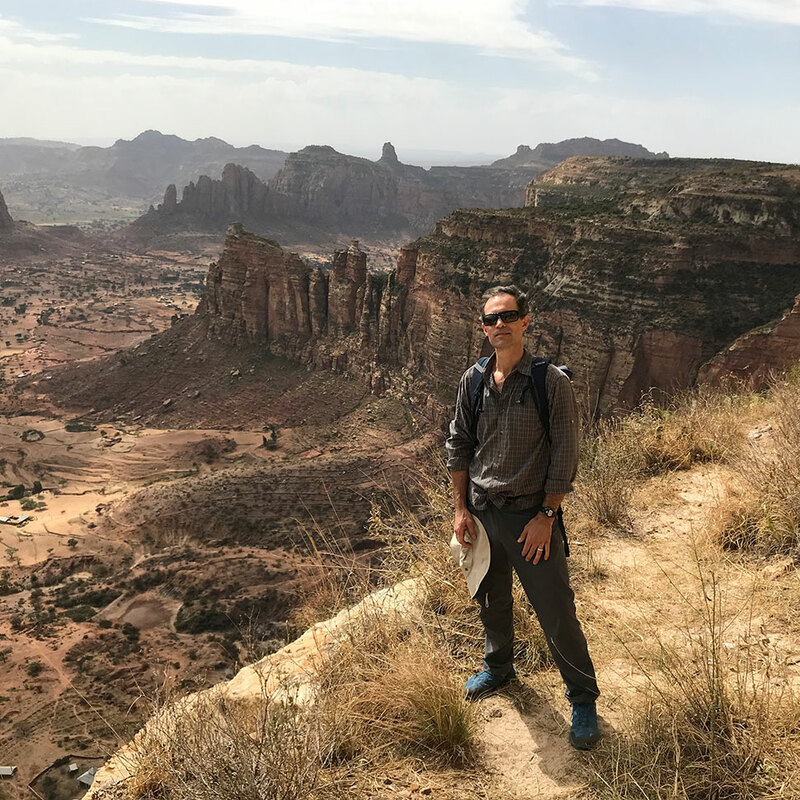 Bahnson recently returned from Ethiopia where he visited a number of “church forests,” old growth tropical montane forests that are protected through a collaboration between an American forest ecologist and a group of Ethiopian Orthodox priests. That story and a film will appear this Fall in the “Tree” issue of Emergence magazine. In late May he will travel to Istanbul, Turkey to share his research at the third annual Halki Summit, a gathering on faith and ecology convened by Ecumenical Patriarch Bartholomew, the so-called “Green Patriarch” who has been an outspoken voice for the environment and who represents over 300 million Orthodox Christians worldwide. This research will be of great benefit to the courses Bahnson teaches at the School of Divinity, especially “Tree of Life: Christianity, Climate Change, and the Anthropocene” which he plans to teach for the third time in Spring 2020. Additionally this research will help grow the Food, Health, and Ecological Well-being Program, which also receives program funding from the Kalliopeia Foundation. Part of Bahnson’s research will be reflected in this year’s Summer Institute in Food, Faith, and Ecology June 10-14. This year’s theme is “Ecotones of the Spirit” and registration is open through May. Bahnson’s sabbatical grant is part of a larger $95,000 received from Kalliopeia Foundation announced last summer. In 2012 the School of Divinity saw a need for faith leaders working on food insecurity, health disparity, and ecological degradation. The Food, Health, and Ecological Well-Being Program was the first of its kind at a seminary in the United States. With Master of Divinity concentrations in religious leadership and food and health, continuing education workshops, and educational offerings the program the program has helped to redefine theological education, re-energize the church, and transform how service to overcome food injustice and damaged ecosystems is understood. Bahnson’s research and teaching focus on the intersection of ecology, sustainable agriculture, and contemplative spirituality. He is the author of Soil and Sacrament (Simon & Schuster) and co-author with Norman Wirzba of Making Peace With the Land (IVP). His essays have appeared in Harper’s, Orion, The Sun, Image, Washington Post, and the anthologies Best American Spiritual Writing, Wendell Berry & Religion, and State of the World 2011: Innovations that Nourish the Planet. He is currently at work on a book about climate change and Christianity’s ecological vocation. In 1997, Kalliopeia was founded as an independent private foundation to help support people and organizations who are working to bring spiritual values into institutions and systems of everyday life and work. The name “Kalliopeia” means beautiful voice and refers to the first of the nine Greek muses. She is associated with heroic poetry, justice, and transforming lower qualities into higher.